Community Day (aka May Day) is a big deal in Eatonville. Did you know . . . it started as an annual community clean up day for the school and town. In 1927 they began having a May Fete on Community Day (already in practice since 1919) along with Community Day. A king was selected by the senior class, to crown a queen also selected by the senior class. Around 1936, the clean up day was replaced solely with the May Fete celebrations. Children in grades school participated with folk dances before the floral throne of the king and queen. In addition, there were track events, a school baseball game, a senior play in the evening and a display of work by various grades and departmenets of the school. Today is the 85th May Day in Eatonville. I can tell you from personal experience, it’s still going strong. I remember quite well in gradeschool,(in the late 50’s and early 60’s) having to do the MayDay “May-Pole” dance that consisted of weaving strands of different colored fabric around a big pole, everybody skipping around the pole, with the fabric in hand ..over, under, over, etc, etc. Do you people have a twitter fan page for Eatonville to Rainier » May Day 1929? I looked for for 1 online but could not find one, I would love to become a fan! I haven’t yet, but I may have to start. It always struck me as interesting that this tradition survived the McArthy era in particular, as well as the country’s post WW-II anti-communist sentiment in general, with May Day being a traditional day of celebration in the USSR under communism, as well as having it’s origins in so-called “pagan” traditions. Maybe it’s the town’s Norwegian background. Diane, this is the May Day Court from 1928. My father, Cecil Williams, was the May Day King that year. Florence Jewett was the Queen. 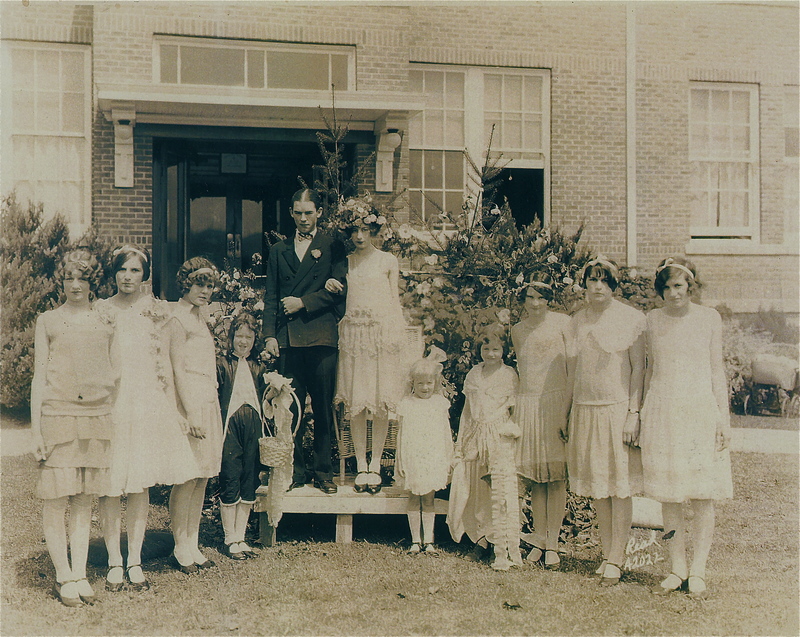 Cecil’s sister, Fay Williams was the first May Day Queen in 1926. Bill Smith was the May Day King. This picture is from the N.P. Williams collection.